Isn't it fun to explore an all-new makeup line? Vintage by Jessica Liebeskind literally just launched: December 29th on VintageCosmetics.com and January 1st on HSN (Vintage on HSN)! I tried out a few products from the line and I am super excited about them! 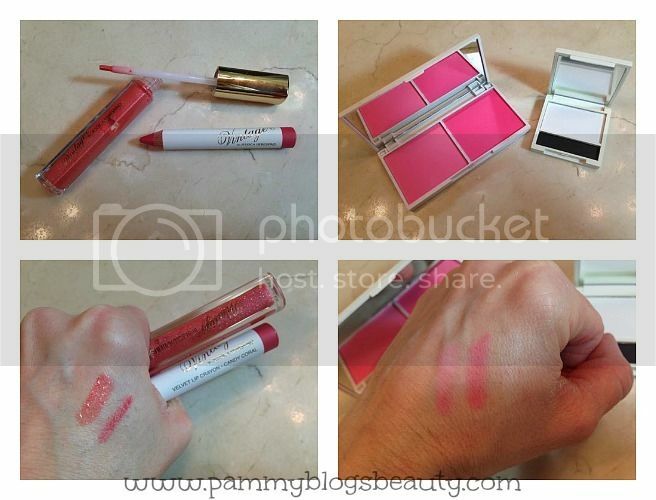 To find out more about the following Vintage by Jessica Liebeskind cosmetics, please click read more below: Velvet Lip Crayon, Sparkling Lipgloss, Blush & Brighten Face Palette, and Brighten and Define Eyeshadow Palette. This palette is one of those workhorses in your makeup collection. It is such a true basic. 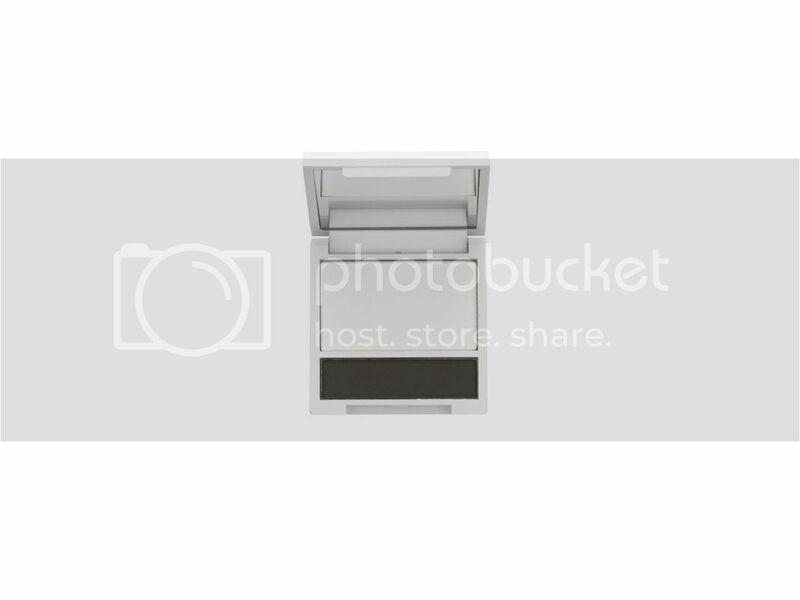 This palette has one large white matte eyeshadow and one smaller pan of matte black. I go through white eyeshadow like crazy. It is my go-to color for a lid base, brow highlight, and inner corner brightener. I am super fair and white works great as a highlight shade for me. The black shade is nice to darken up my eyeliner or wet line my eyes. I adore this little palette and it is already getting a ton of use! I love this Lip Crayon! It goes on so smooth! The shade Candy Coral is absolutely gorgeous!!! It really is my perfect lip shade: a medium pinky coral with a satin finish. It is so pigmented and just has a lovely texture. It feels smooth and hydrating on my lips. Plus, I love that it comes with a sharpener. It allows me to be so precise! These lip crayons currently come in 3 shades. I would love to try the other two! The name says it all, this formula sure is sparkling! I tried the shade Papaya which is a sparkly semi-sheer peachy pink gloss. The iridescent glitter gives it a very sparkling impact. However, I must note that the gloss has a bit of a glittery texture from all the glitter. With that said, the formula is nicely non-sticky and has no scent. I like the brush style applicator, too! This gloss pairs beautifully with the Candy Coral Lip Crayon! I love wearing these two together. It has been my go-to lip look lately! Blush is my hands-down favorite makeup item. So, you know that I am all-about trying out this gorgeous blush palette! 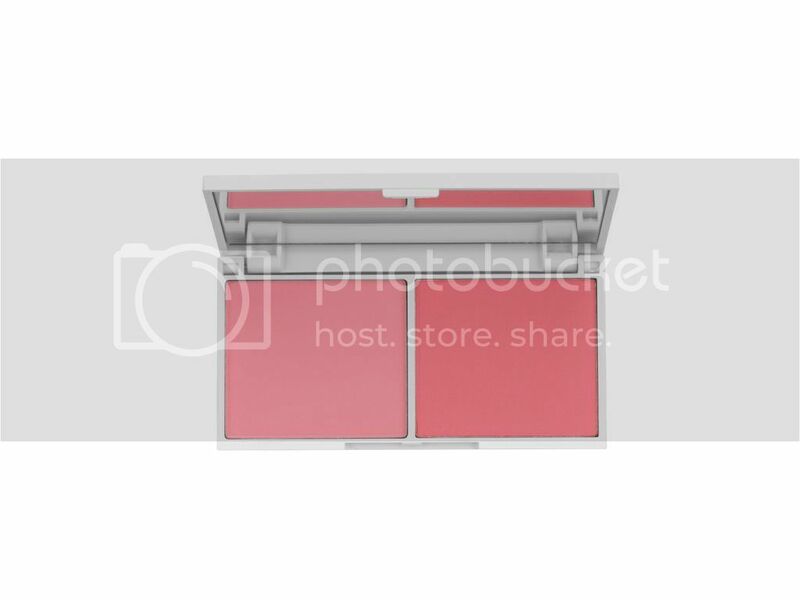 I tried the blush palette in Pink Coral/Flamingo which is an all matte blush duo with a vivid baby pink on the left and a deep pretty coral shade on the right. These blushes are very smooth and not chalky to apply (like some matte shades are). You only need a light touch as these are so pigmented. I like the pretty pink shade the best. It is a beautiful pop of color for the winter! Oh, wow! That line looks so pretty!